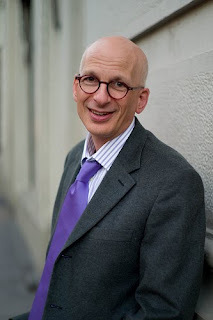 One of my favorite bloggers is Seth Godin. Seth is the king of short, witty, thoughtful posts. He seems to be able to cram an extreme literary experience into as few words as possible. I don't know about you, but I like that. I've always been the type of person that likes to keep words, writing, and conversation quick and straight to the point. This world needs more conscious thought at the beginning of the process, instead of a barrage of speaking or writing. People have a tendency to "free think" out loud, and it gets them in trouble. Think about it, first, then talk. My dear brothers, take note of this: Everyone should be quick to listen, slow to speak and slow to become angry, (James 1:19, NIV).